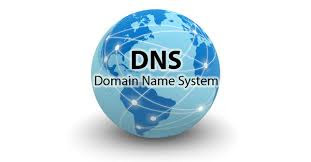 The DNS stands for Domain Name System. Its a network protocol and used for domain to IP mapping. DNS is naming system for computer and services and private network. The Domain Name System manages a domain directory and translates domain name into IP address. When we type any website domain name (such as Knowitinfo.info), the DNS changes this domain name with Internet protocol. DNS is not required to established a network connection but it is much more user friendly for human because we are not able to learn every website IP address. Many websites are available on internet but we learn website name (Such as www.Google.com or www.Knowitinfo.info). By DNS we are able to connect website by domain name. When a user typing www.knowitinfo.info in a browser, a DNS request is send to the DNS server and asking for the IP address of the domain name. If domain IP address available in DNS directory then then DNS server reply with the IP address and the user access www.knowitinfo.com. STP (Spanning Tree Protocol) and how STP works.